With beer cheese sauce!! Yes please!!! 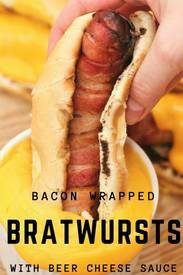 Bacon, brats, beer & cheese....it's my four favorite food groups in one recipe! !